Glenn is a very sensitive singer with a warm and honest blues/folk feeling. Reissue only on CD-format. This electric singer/songwriter gem was issued as a promo in 1974 on the Tiger Lily label, well known for their legendary release of NYC-band Stonewall. Only a few copies are known in collectors hands. 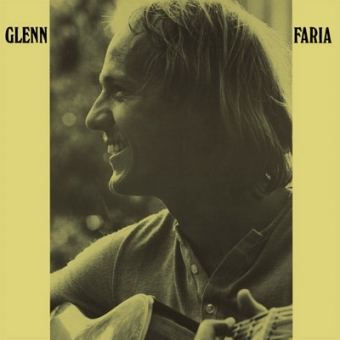 Glenn is a very sensitive singer with a warm and honest blues/folk feeling. When he starts playing his electric guitar, backing his mind-creeping voice, he reaches the highest level in passion and love to music. In songs like "Love is Calling" he leads you to unexpected psych-folk heaven. The album with 8 original cuts was recorded in New York during 1970 after his departure from the psychedelic band Headstone Circus. Contains a bio and 7 bonus tracks. Limited edition of 1000 copies!